After another solid week last week, this morning, futures are sharply lower as we get ready to kick off trading week number four of 2019. 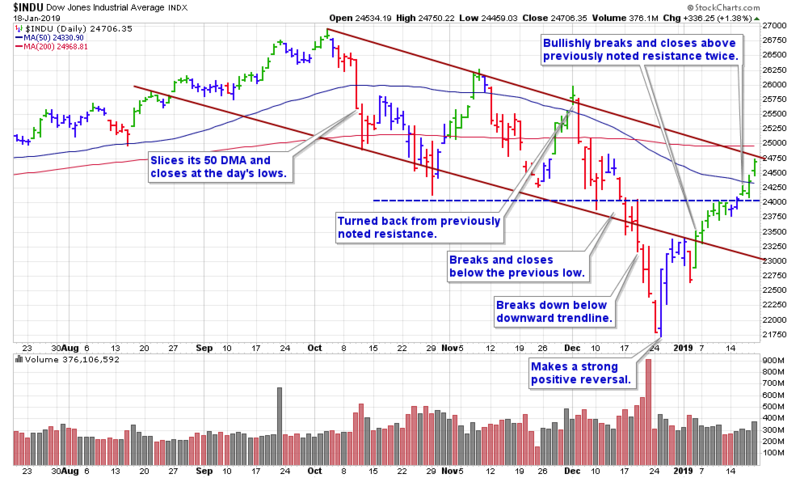 The new year continues to be very bullish for stocks as the major averages traded higher again this past week. After three weeks of 2019 trading, we still have only had two down days on Wall Street. The stock market hasn’t started a year this strongly since 1987. This past week was technically significant, as the major indices closed higher four out of five sessions as each index blasted through previously noted areas of resistance, and closed well above their respective 50-day moving averages. The Dow Jones added another +2.9% this past week. 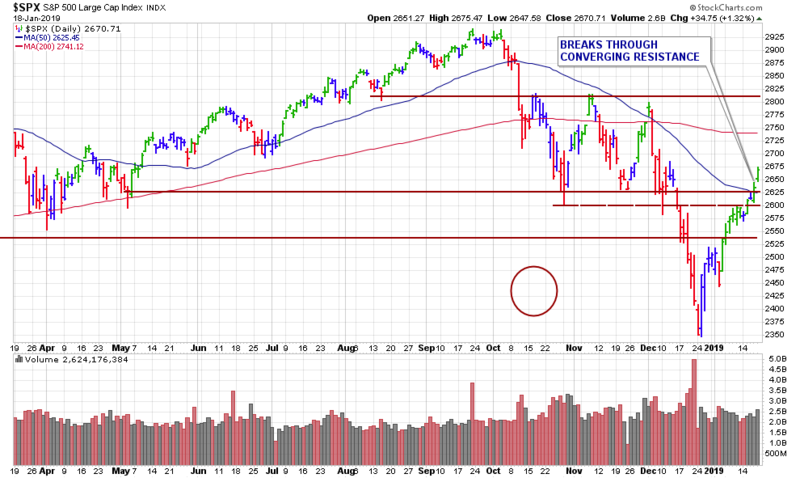 However, the index is now at resistance of a downward trendline. The Nasdaq gained +2.6% on the week. The S&P 500 advanced +2.9%. Of note, the indices are still below their 200-day moving averages. 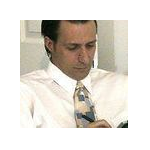 Normally $19.95 a month, now just $9 a month through James’ BuyingBreakOuts.com website. Also of note, the small-cap stocks, as gauged by the Russell 2000 index are off to their best start to any year in the past 32 years, boasting a gain of +8.8% over the past 12 trading sessions, according to Dow Jones Market Data. Over the same period, the Dow is up +4.5%, while the Nasdaq has posted a +6.8% advance. This morning, the International Monetary Fund has released its latest economic outlook with a warning: Growth is slowing and things could get much worse if countries keep fighting over trade. The IMF lowered estimates for growth in 2019 by 0.2 percentage points to 3.5%. It’s the second time the agency has cut its forecast for this year. 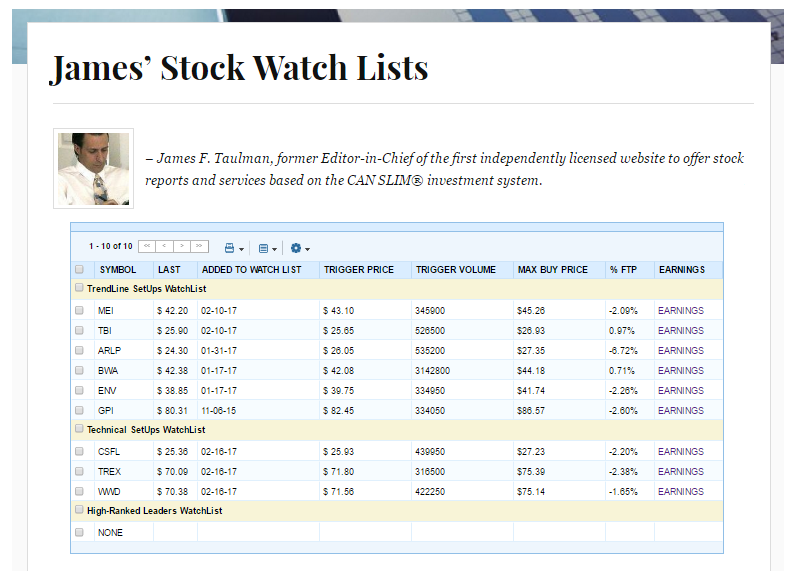 I ran my routine stock screens this morning, yet did not add any new stocks to our watch list. 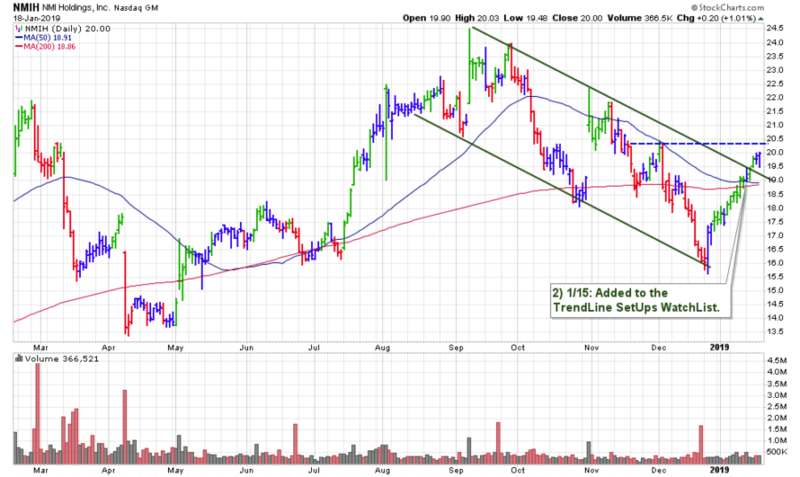 Over the long holiday weekend, I ran my routine stock screens and added 2 new stocks to our TrendLine SetUps WatchList. We now have a total of 9 stocks which we will be watching for the next buyable breakout – see here. One of those is NMIH. 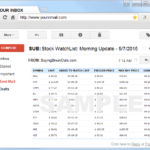 Now you can get access all watch lists with updated trading criteria including –TRIGGER PRICE, TRIGGER VOLUME, and MAX BUY PRICE for every stock here.